KMPG’s most recent research into the alternative finance sector confirmed that in 2017 Australia’s share of the market reached values in excess of US$1bn and showed growth of 88% against the previous year. Second only to China, Australia now accounts for 32% of this market in Asia-Pacific. Part of the growth is down to the proliferation of product options. The alternative finance space now offers home, personal and business loans predominantly designed to fill the gap left by traditional lenders. The other feature is the technology used, as naturally many alternative finance lenders also play in the fintech space, competing on key points such as speed, price and overall customer experience. 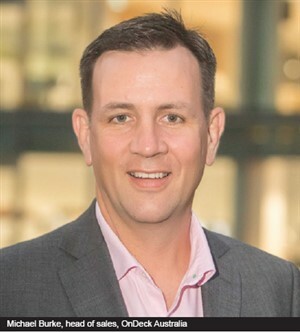 Aaron Milburn, director of sales and distribution at Pepper Money, says the growth in alt-fi is largely down to the broker channel. 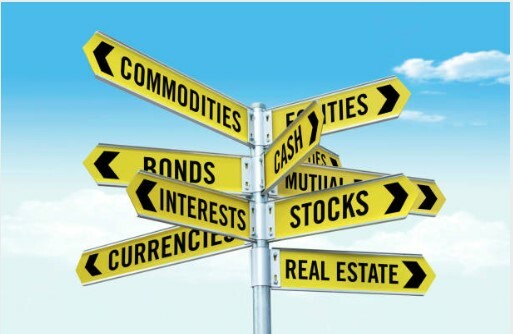 “Brokers and their customers have really come to embrace and understand the alternative finance category. By providing a wide variety of loan choices to borrowers from all walks of life, something the banks frequently do not do, brokers have become the go-to source for lending,” he says. Further, Milburn says the current growth trajectory will continue in the foreseeable future, driven by the declining appetite of traditional lenders, the proliferation of product options, and borrower demand. “As long as the banks’ appetite to lend continues to decrease, the opportunity exists for alternative lenders to fill that gap. Regardless of 1,148.52mmarket conditions, there are always willing buyers, sellers and refinancers in any market,” he says. In the last 12 months, the influence of the royal commission on traditional credit flows has been undeniable, but it’s far from the end of the story. According to Royden D’Vaz, head of sales and marketing at Bluestone, the upcoming election is also likely to have an impact on the future growth of the sector. “Both these factors will place continued pressure on major lenders to be conservative in their lending standards, which in turn will necessitate alternative avenues to loan solutions for borrowers in need,” D’Vaz says. Brokers bring in 97% of Bluestone’s business, and the lender, which specialises in near prime home loans for a range of borrower profiles, saw its loan book grow by almost 60% over CY2017–18. As a lender, Bluestone judges serviceability by assessing the individual rather than fitting each potential borrower into predetermined risk criteria. This approach is commonly adopted by alternative lenders, which tend to amalgamate the best parts of the operational models and underwriting systems that have been tried and tested overseas and locally. “We are able to offer loans to a wider range of borrowers because we don’t use credit scorecards and instead assess each deal on its individual merits. This enables us to understand the circumstances of each borrower and gain a more holistic understanding of their needs and goals,” D’Vaz says. Another reason for the strong national growth in alternative finance sources is the ongoing funding gap faced by small to medium-sized businesses. Among alternative finance lenders, KPMG says business lending increased 164% in 2017. 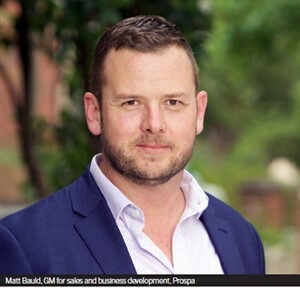 “Banks can’t assess small business credit risk economically, and historically haven’t had the risk appetite to do so,” says Matt Bauld, GM for sales and business development at Prospa. When it comes to business lending, the alternative finance sector takes on a whole new level of meaning. Prospa counts 2.2 million small businesses in Australia; these employ 44% of the private sector workforce and generate 35% of GDP. When it comes to the growth outlook for Prospa’s corner of the market, the lender believes the opportunity could exceed $20bn per annum. “If 2018 is anything to go by, this year will be huge for the alternative lending space, and the opportunity for alternative lenders and the brokers who partner with them is enormous. We estimate that there is an addressable market for small business lending of more than $20bn per annum,” says Bauld. Although a number of factors have spurred the growth reported by alternative lenders, the increasing trust of borrowers could be one of the most significant. In August, Deloitte asked 2,072 people about their level of trust in traditional financial institutions. When talking about the general banking industry, 21% believed banks had their customers’ interests at heart; 20% believed banks did what was ‘good, right and fair’ in terms of ethics; and 26% believed banks kept their promises. Meanwhile, Bauld says borrowers views of fintech and alternative lenders reveal a stronger reputation. Aside from the loan book growth reported by alternative lenders – and the regional growth highlighted by KPMG – there are few figures to quantify how much borrowers trust the alternative market. However, Michael Burke, head of sales at OnDeck Australia, says transparency, credibility and awareness of how alternative finance works all help to increase trust and therefore demand. Through technology, automation and data analytics OnDeck can underwrite and fund more efficiently than the traditional banks. As a result, the lender’s Australian loan book increased 100% between 2017 and 2018, followed by a 346% increase in the broker channel in 2018. When these figures are combined with those of its US parent company, OnDeck has funded in excess of $10bn in loans for 100,000 SMEs in the last decade. “The industry is striving to deliver great products through a responsible lending mindset, and this, in combination with transparency and greater usage, will continue to build credibility in the sector and ultimately more usage,” Burke says. As an international asset-backed business lender, OnDeck has seen many of the same trends play out in its native US market and thus has a strong grasp of how the Australian market could develop. “With more than 10 years of experience and learnings, OnDeck has advanced credit models that allow for responsible credit decisioning through, among other things, the assessment of three months of the business’s bank statements and credit bureau data,” Burke says. Today, it isn’t enough to simply provide an alternative – that alternative must innovate on what has been done before. When it comes to lending, this is true regardless of the type of loan. In a wider context this is driven by customer demand and the expectation across all walks of life that digitisation of a service equates to a near-instantaneous solution. As a result, the majority of alternative lenders, irrespective of their individual business models, innovate the wider finance environment in some way with each new product and launch. To give an example, Burke says, “Long processing times prevent SMEs from taking advantage of near-term growth opportunities and being agile in their day-to-day operations. The bottom line is that the lender must move at the same speed as their borrower’s business. “Internet and mobile-based lending platforms are transforming how small businesses access and secure financial services by increasing efficiencies, decreasing transaction costs, improving customer experiences, and promoting greater financial inclusion,” Burke adds. According to KPMG, research and development receives an average of 24% of an alternative lender’s budget in the APAC region. The result is product solutions that are as individual as the borrowers themselves. As Milburn explains, Pepper Money was founded on the principle that meeting market demand requires flexibility, innovation and an understanding of individual customers’ circumstances. 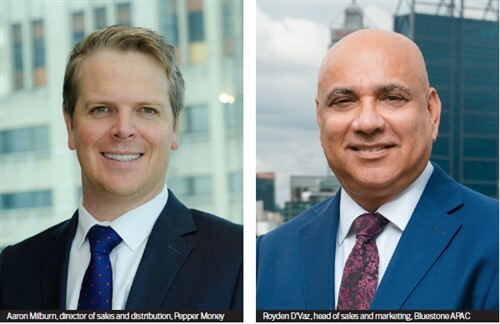 “Pepper was founded on the proposition that there were whole segments of the Australian market that were underserviced, or even ignored, by traditional banks and other prime lenders,” Milburn says. To meet the demand of a growing pool of borrowers, Pepper built its business on bespoke credit underwriting practices, honed over two decades. Because more than 90% of its loans are originated through the broker channel, Pepper invests heavily in broker education and recently launched the Pepper Product Selector. The broker inputs their client’s details and the selector returns a product match, with an indicative interest rate and details of the associated fees. The tool also completes a soft credit check at no cost. “Brokers are so vital, and their knowledge and ability to source the right loan for a customer’s circumstances means they are an integral part of the lending landscape,” Milburn says. The role of brokers in the alternative finance space is undeniable, and is highlighted by their significant share of origination reported by the leading alternative lenders. However, gaps remain in how brokers utilise alternative finance – and with diversification of the broker business model still a hot topic, addressing those gaps will create a win-win situation. “Now is the time for brokers to expand their businesses so they’re able to support their clients across a variety of finance needs,” says Bauld. Prospa provides brokers with a range of marketing and education resources customised for their needs, including webinars, EDMs, and dynamic landing pages. “The royal commission has demonstrated the importance of putting customers first, so brokers should make sure they are working with alternative finance partners that take this seriously and are compliant with the Code of Lending Practice. “This not only helps brokers maintain that trusted relationship with their clients but will also help them build a more sustainable business,” Bauld says. In alternative business lending, strong demand coupled with low marketplace awareness among consumers is a match made in heaven for most brokers. Research conducted by OnDeck reveals that only 42% of SME owners know the purpose of a credit score, and a mere 7% know what that actual score is. “There is clearly strong demand for SME finance, making this a revenue channel that brokers cannot afford to overlook,” says Burke. For those who wish to stick to their established client profile, the sector still provides opportunities, due to continuing shifts in lender criteria. “Becoming familiar with the offering of non-banks like Bluestone can pay off even for brokers who prefer to only deal in straightforward vanilla lending, as increasingly even those borrowers can struggle to be approved at the major banks,” D’Vaz says. Thanks to the royal commission the broker channel has received an inadvertent PR boost over recent weeks, and the role and prominence of the broker channel is set to grow as a result. While it’s been a long road to get to this point, it means that fresh opportunities currently abound. “This will establish a broker as a customer’s trusted adviser and perhaps create a customer for life. Ongoing education of consumers will become key, and a broker can find their point of difference as a subject-matter expert for their customers,” Milburn says.